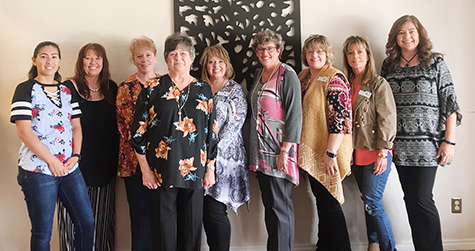 Libby Johnston has been working, living and breathing to benefit kids through Court Appointed Special Advocates (CASA) of Eddy County for the last 24-and-a-half years as the organization’s executive director. Recently, Johnston has decided to take a step back from the organization and retire, leaving Lori Hill to fill her shoes as the next executive director. CASA itself relies heavily on support from the community, whether that be donations of time or money; however, Johnston says that CASA could never have enough volunteers. “Many children in need of advocacy would slip through the cracks without CASA, and we need all the help we can get,” she says. If you’re still on the fence about working with CASA, Johnston says “it was the most heartbreaking and most rewarding job” she’s ever done. For more information, call CASA of Eddy County at 575-887-5966 or visit their website, eddycountycasa.org.